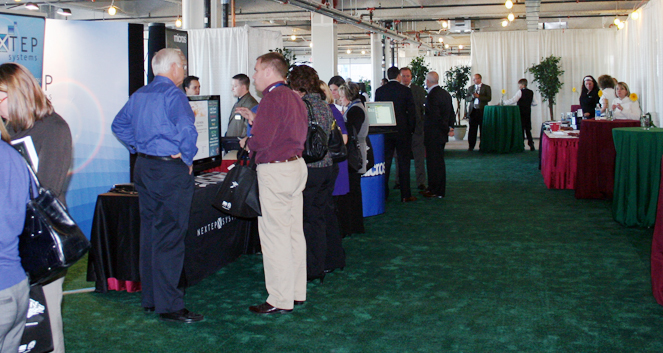 Just before Thanksgiving, I was able to attend the Delaware North Companies Food & Beverage Summit in Buffalo, N.Y. It is so important that Delaware North has this event for many reasons. First, it is very important to realize and understand that Delaware North is a big family. Not just the chefs need to understand this, everyone needs to understand it. It’s also important for us to network and see each other once a year. It’s a vital part of what makes us tick and function. Probably most important, it is great for us to see Delaware North Companies Principal Jerry Jacobs Jr. and hear him talk about the culinary vision of the company. It helps us know we have support and direction. Jerry’s speech was a definite highlight of the summit. Other great events included the Presidents Roundtable, several seminars, including the ones about kitchen equipment design and menu planning also stood out. I thought the summit did an awesome job of addressing major trends in the industry, including sustainability with seafoods. As stewards of Delaware North’s special places, we always have to look at new ways to be sustainable. I love the food and beverage summit and would love to see it grow. It’s great to get more chefs there and more minds from our company and other culinary forces in the industry. The more we can learn during the summit, the better. This is the one time each year we get all our “field troops” together and I am very proud of it. This entry was posted on Friday, December 11th, 2009 at 12:09 am and is filed under Uncategorized. You can follow any responses to this entry through the RSS 2.0 feed. You can leave a response, or trackback from your own site.